Thanks to the businesses below who have donated medical equipment for use in DR Congo! Thanks so much to Surgico for donating valuable and versatile surgical headlight units for our hospitals in DR Congo. Your generosity is greatly appreciated! ​A Leap Forward in Electrical Capability! 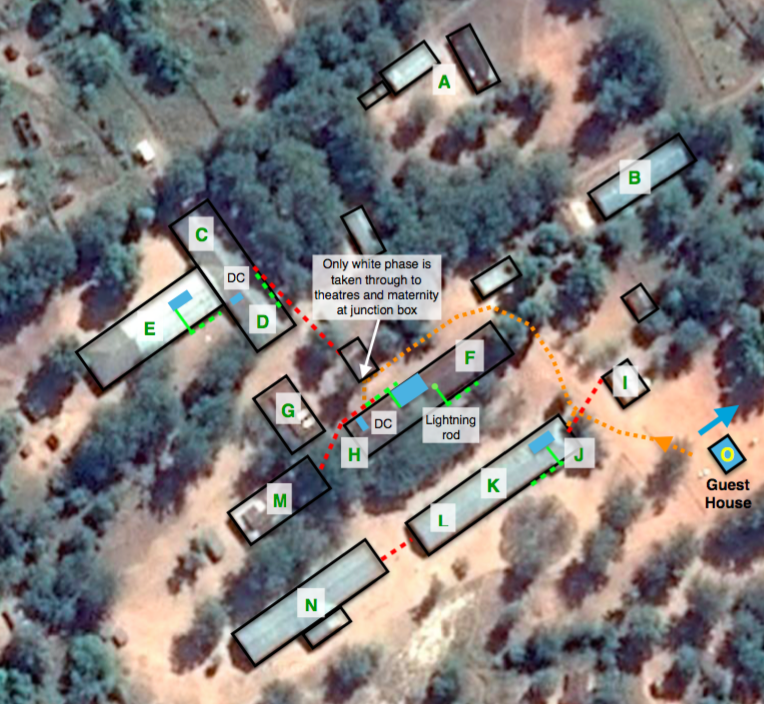 Our second project has just been completed at Mulongo Hospital on Lake Kabamba. 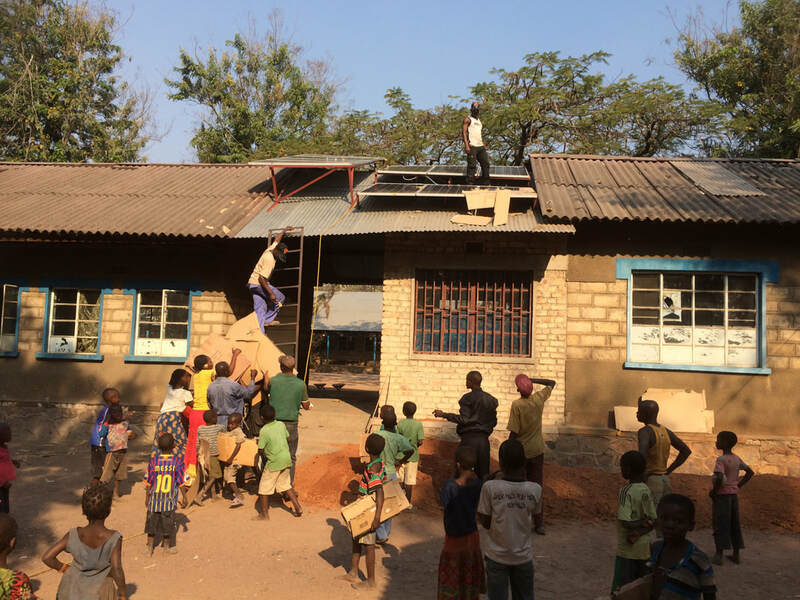 Costing just over US$10,000, we installed 5kW of solar power in three strategic locations within the hospital complex. The system provides 3.2kW of 230V AC to 2 Surgery units, 1kW to a maternity unit, and another 1kW to paediatrics, internal medicine and a lab (for a complete detailed list of costings Click Here). All systems can also be switched to a generator source in the event of system failure or if a short-term boost in power is needed to drive a heavy current device. With this one installation, tens of thousands of people will be able to receive hospital care over the coming years that would otherwise simply not be possible. Reliable electricity in a hospital allows for the installation of: ultrasound equipment, general anaesthetics equipment, surgical suction equipment, cauterising scalpels, diagnostics laboratory equipment, computer technology, reliable communications, and refrigeration. 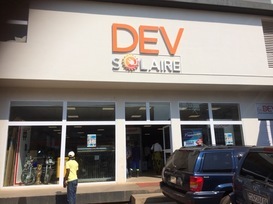 We worked hard to get the best value for money and settled on working closely with a solar supplier in Lubumbashi, Dev Solaire. Divesh was very helpful in coming up with equipment to suit our needs, and we hope this partnership will develop in the years to come. We installed 9 x 300W 24V panels on the surgical block, another 4 x 200W on the maternity block, and consolidated older existing panels to supply power to paediatrics, internal medicine and the lab. The surgical block was primary in terms of power allocation, since this is where power was most desperately needed. We installed a 3.2kW controller/inverter system in this block, along with a 48V 200Ah battery bank to store reserve power. One of the things we quickly learned in the DR Congo is that you work with what you have available! After much searching and comparison of available products, we chose ProVista equipment for this install due to pricing and technological capability. The Provista PV3200 uses MPPT controllers due to their inherently better power conversion characteristics, and uses an integrated inverter to provide the necessary power to the 2 surgical rooms in the ward. We also installed lightening protection on both the DC and AC sides of the system due to the wet season storms that regularly pass through the area. The system is designed primarily for heavy daylight use, since this is the reality of the hospital workload. We did install enough batteries to ensure the surgical ward has all-night lighting available — something not previously possible. In the surguries themselves, we replaced high wattage florescent tube lighting with a dual system of AC LEDs and a DC LED backup system. This makes a huge difference in terms of available light in the operating environment! Each theatre now has 4 x 5W LEDs for general room lighting as well as 5 x 9W LEDs and an adjustable 20W, directional LED floodlight above the operating table. All this without running a generator (which the hospital can't afford to run anyway)! Mulongo Hospital is a critical site in the northern part of Katanga since it provides surgical training to recently graduated doctors and also has a nurse training programme running. Once doctors complete their surgical training here they are sent to more isolated positions in smaller clinics around the region. 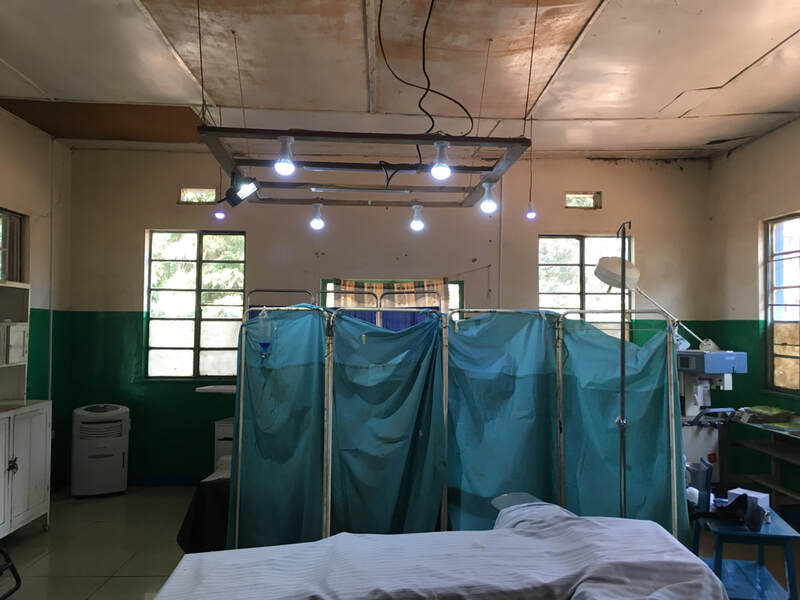 ​Solar work done this year will allow the hospital to use essential electrical equipment in both theatres, as well as much needed lighting in maternity and paediatrics (we installed over 100 LED lights with this project). As it happened, the hospital was also donated a significant amount of medical equipment by an NGO at the very time our installation was completed, including new electric operating tables! Further equipment, including diathermy and imaging devices are also on the way now that there is power available to run them. The "Dancing Mountain" . . . The Crew at Work . . .